31-07-1945, killed in a accident, age 55 near Rendsberg. Hans Bartels, Hans born 05-07-1910 in Frankfurt, was a Korvettenkapitän with the Kriegsmarine during World War II and recipient of the Knight’s Cross of the Iron Cross . 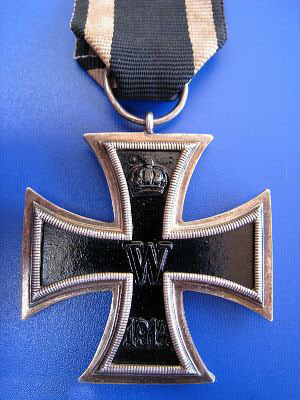 The Knight’s Cross of the Iron Cross was awarded to recognise extreme battlefield bravery or successful military leadership. Commanding General of the LXX Army Corps. Bartels joined the Reichsmarine on 01-04-1931 and had his training at the Segelschulschiff, sailingship Niobe . With the Light Cruiser Karlsruhe he made a foreign trip from 30-11-1931 until 08-12–1932 under Kapitän zur See Erwin Wassner .. Wassner died young age 50 on 24-08-1937. Bartels was promoted to Fahnrich zur See on 01-01-1933 and from 30-09-1934 transferred to the Line Ship Schlesien . On 01-04-1935 promoted to Leutnant zur See. Bartels was appointed as officer on the Minesweeper M 89. and on 01-10-1936 n the M 146. On 01-01-1937 promoted to Oberleutnant zur See and appointed to commander of the minesweeper M 1 on 05-03-1939. During the Poland invasion his ship operated in the Danziger Bucht from September until October 1939. As early as 24-08-1939, M 1 and the other five boats of the First Minnesuch flotilla had fetched the 230 men of the Marinestossgruppegruppe (MSK) in Memel, and they were still on the same evening at the height of Stolpmünde on the high sea Of Schleswig-Holstein; The MSK occupied the Westerplatte on 1 September 1939. Even before the end of the war against Poland, the Bartels, who had been promoted to captain lieutenant on 01-10-1939, was ordered to move to the North Sea with M 1. In the early morning hours of 24-02-1940, he dived in the area of the Doggerbank, where the four Danish Eskjerg Ejjam (E 92), Gerlis (E 456), Merkator (E 348) and Polaris (E 504) By rams. Bartels reported to his superiors that “for military reasons” no one was saved by the crew; 16 fishermen from neutral Denmark lost their lives. For his achievements in securing the West Norwegian fjords, Bartels was awarded the Iron Cross 1st Class on 11-05-1940, and the Knight Cross five days later. On 07-12-1942, Bartels was placed as the first officer on the destroyer Z 24, with whom he was deployed in the North Sea. On 12-08-1943, he became commander of the torpedo boat T14. On this occasion he took part in the disarmament of the Danish navy on 29-08-1943. On 01-10-1943, he was promoted to the corvette captain. He was transferred to command the Kleinkampfverbände (small combat units) and after a training course was appointed leader of the Kleinkampf-Flottille 261 (261st Biber flotilla), operating the midget submarine Biber, in August 1944. Death and burial ground of Bartels, Hans. After the war ended Bartels was retained in British custody and was assigned to the German Mine Sweeping Administration, where he was killed in an accident near Rendsberg on 31-07-1945 and buried on the Garnisonsfriedhof of Rendsberg.